The next several years promise to be a time of great opportunity and dramatic change for companies manufacturing generic drugs. With generic medicines already representing a large and growing share of the pharmaceutical market, these companies are looking ahead to the patent expirations of tens of billions of dollars of branded drugs over the next several years. Innovation is required, yet investments in new technologies will be substantial and, especially in the case of biologics, may be out of reach for many companies. As the gap between industry leaders and new entrants widens, it is even more important that companies define the right strategies for their organizations and execute flawlessly. The right leadership strategy is one of these. 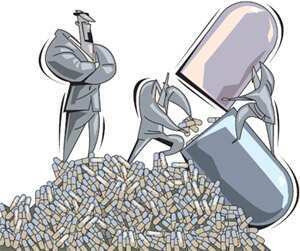 To seize the opportunities before them, generics companies will need strong and sophisticated leadership drawn from pharmaceutical and other industry sectors, where executives skilled in operations, customer service, supply chain and other critical functional areas can be found. To succeed, these leaders not only need the requisite functional expertise, but must also represent a good cultural fit with the unique and dynamic generics culture. Further, regardless of specific company strategies, improving time-to-market and achieving economies of scale remain fundamental to success in generics. The attention to cost suggests that companies will be more strategic in evaluating which opportunities make sense for them to pursue, including which molecules, formulae, delivery forms and technologies to invest in or develop. A major focus will be innovating improvements designed to lower costs across the value chain. While commercial roles and others that require local relationships will remain local or regional functions, others—such as research and development, manufacturing and elements of the supply chain—may well be more efficiently managed if centralized. In addition, with competition on the rise and customers consolidating, strong customer relationships and customer service have never been more important. Companies can do this by limiting the number of organizational layers, remaining adaptable and working closely with customers. Thus, not only will generics companies need more leaders in a wide variety of positions to address growth and the new opportunities before them, the required skill sets represent a composite of capabilities that will have to be found from multiple industries. An overarching challenge for generics companies will be to find the leaders with the mindset to adapt to the generics business, which is built around entrepreneurship and speed of action. Traditional pharmaceutical businesses will continue to be a source of executive talent for roles in research and product development. To fill commercial roles, generics companies are likely to look for talent across a wider breadth of life sciences sectors and in other, more regulated industries such as over-the-counter (OTC) drugs and consumer healthcare products. As they continue to seek new ideas and best practices from other industries to take operations and market-facing functions to the next level of sophistication, generics companies will have to look outside life sciences. For example, general managers and commercial leaders may be found in retail or fast-moving consumer goods companies, where speed, customer insight and the ability to work in a tight-margin environment are critical. Sectors with strong manufacturing and supply chain operations, such as electronics or automotive, may be good sources for senior-level operational leaders. Those industries that produce executives who are highly trained in Six Sigma principles and practices may prove to be especially valuable sources of talent. Companies will need to understand that executives from other industries will have to be retooled if they are to be successful in the generics industry. Pharmaceutical executives have the technical knowledge and understand the regulatory aspects of the role, but may be less prepared for generics’ fast pace and sense of urgency. Meanwhile, executives from less regulated industries may be comfortable with the industry’s speed and thin margins, but have to adjust to operating within regulatory frameworks. Further, general managers and other senior leaders must have a broader skill set than in the past and be capable of managing the growing complexity of the generics business. These must be hands-on leaders who are also solid strategic thinkers willing to explore counter-intuitive approaches to the traditional ways of doing business. They must have excellent communication and influencing skills, and exceptional professional credentials. The most critical challenge will be to incorporate the ideas and best practices these new leaders bring, while maintaining a culture that promotes the speed and efficiency so critical to the success of generics companies. Companies that get this right will find themselves leading the next phase of development in the generics industry.